high school preparatory school or summer program. Must be officially admitted/enrolled full-time to an accredited preparatory school grades: 9-12. 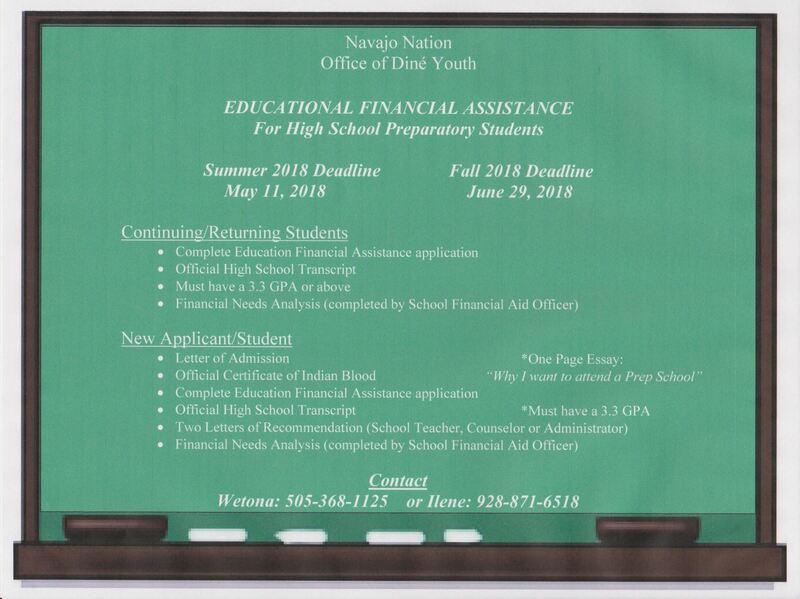 Complete all necessary Educational Financial Assistance forms by school personnel. One-page essay by student about "Why I want to attend a Preparatory School". Must have a GPA of 3.3 or above for consideration of financial assistance. Contact Wetona at (505) 368-1125 for more information.